The lower meadow is landmark of the trail and a great lunch destination. About 3.25 miles from the trail head, and 2300 ft gain . 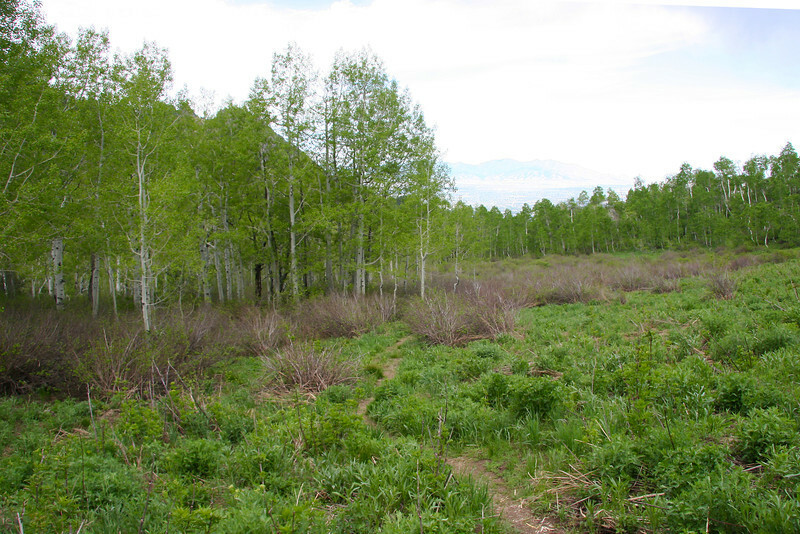 Continue up the main trail to the back right corner of the field, ignoring the side trails if you are headed for Millcreek Canyon. There is probably a deer trail off the side, but the route I chose worked out pretty well.